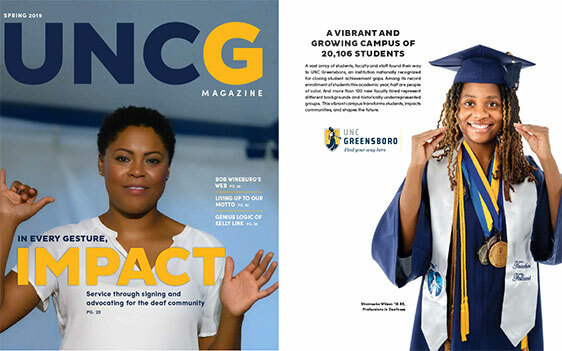 UNC Greensboro has lots of fascinating stories – of impact, of opportunity, of excellence. 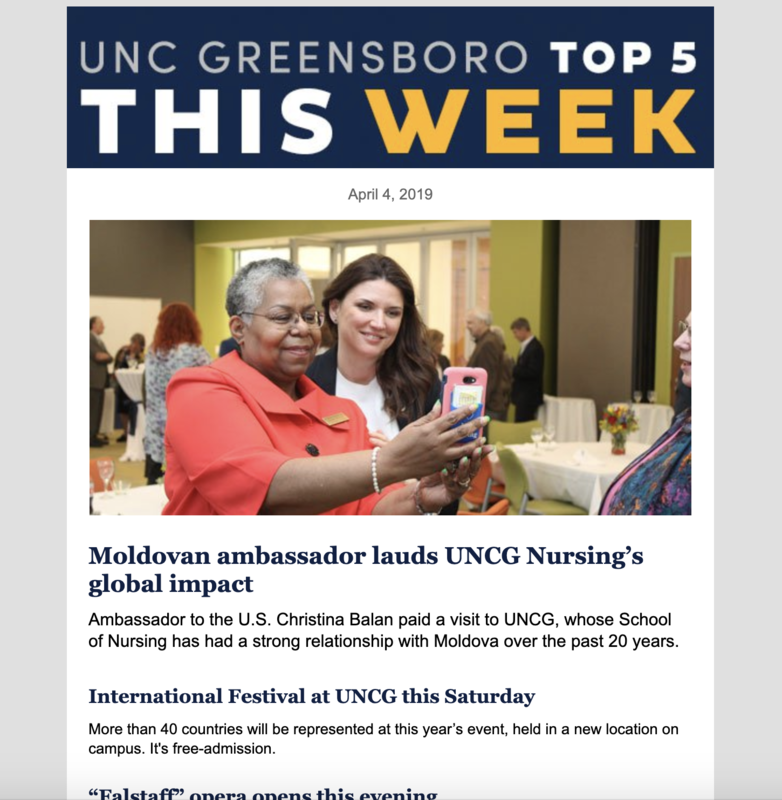 Our magazines and e-newsletters help share these stories with the campus community, alumni, friends and the broader Greensboro community. These publications keep Spartans and Spartan supporters informed. UNCG’s alumni and current students form “a great unbroken band,” as the university’s song proclaims. UNCG’s magazine for alumni and friends of the university helps further bind Spartans together. 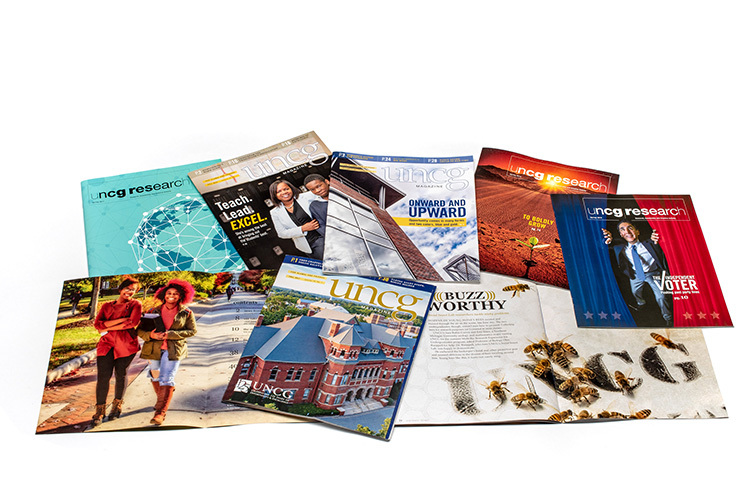 Each edition showcases the ascension of our university year by year, and how a UNCG education is invaluable. The magazine prints in spring and fall, and the inspirational stories plus videos are available at the UNCG Magazine website. 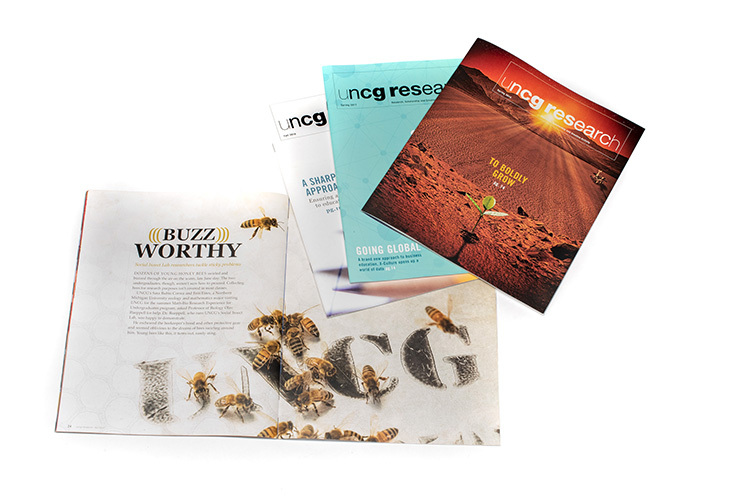 Jointly produced by the UNCG Research & Engagement Office and University Communications, UNCG Research Magazine presents stories from all academic areas of the university. Professors, graduate students and undergraduates are engaged in research and creative activity that push our collective knowledge, capabilities and spirits forward. These research stories are on display in the magazine, which publishes twice a year. A news source especially for faculty and staff, Campus Weekly builds a sense of community among all employees. It helps keep all employees informed of events, university initiatives and personnel news. The Campus Weekly e-newsletter is mailed each Wednesday to all employees, and is mailed every other week in the summer. 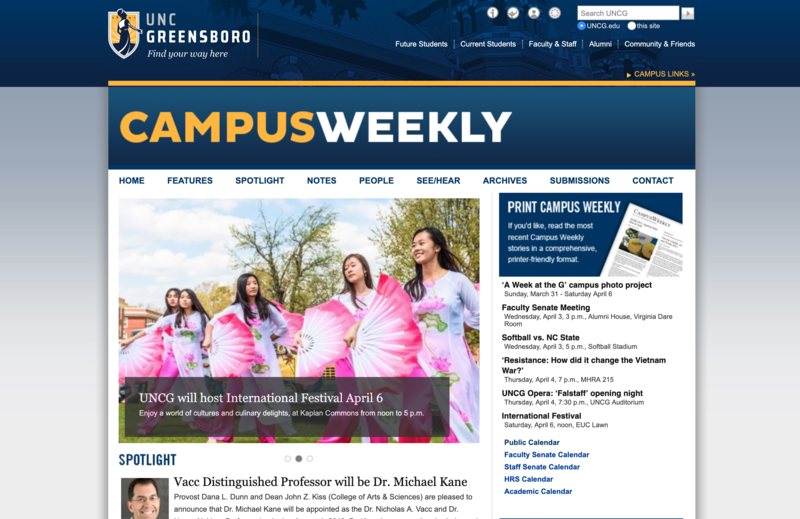 The Campus Weekly website serves as a reference for many informative announcements and information for faculty and staff. This e-newsletter is a weekly news vehicle for alumni, directing them to the latest stories on upcoming events and University news.